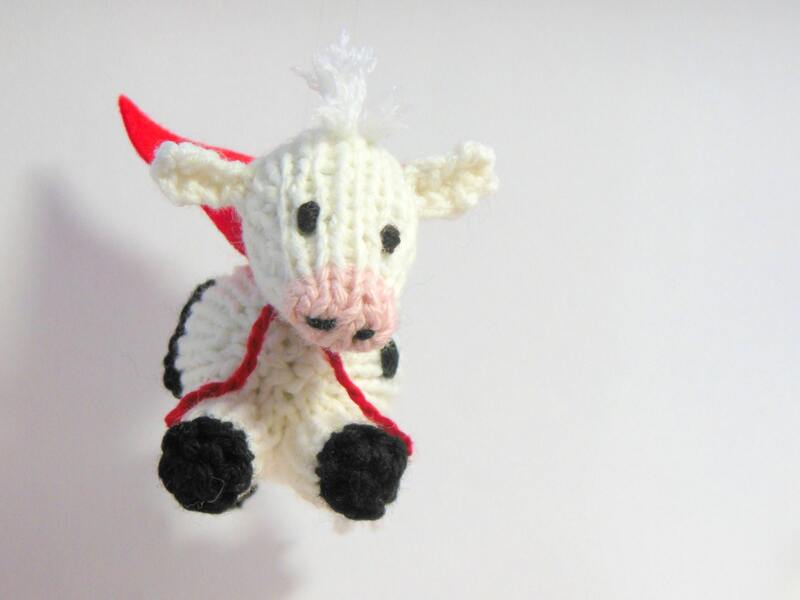 Don't despair...SuperCow will save the day! 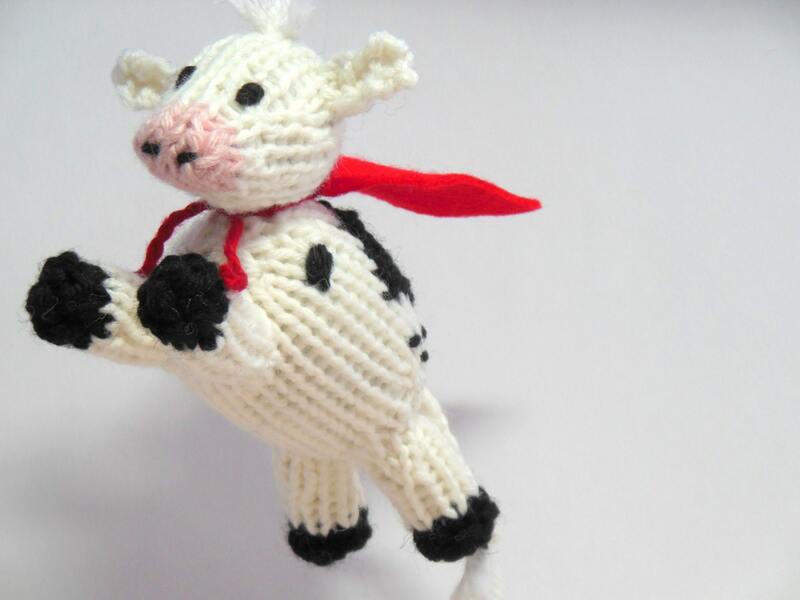 Championing all sorts of goodness, SuperCow will put a smile on anyone's face. 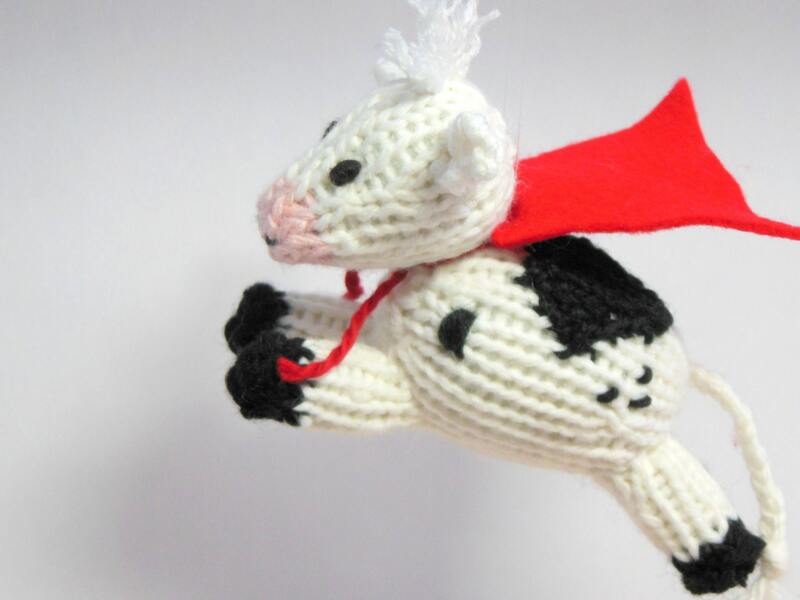 SuperCow is a Sweet Bauer original and is hand-knit, embroidered, and stuffed with high-quality all natural and eco-friendly fibers (alpaca / wool blend yarn / bamboo - poly stuffing or wool roving, per request). 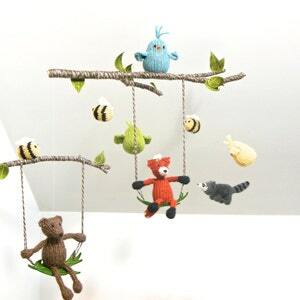 This is a great little mobile to place over a changing table. 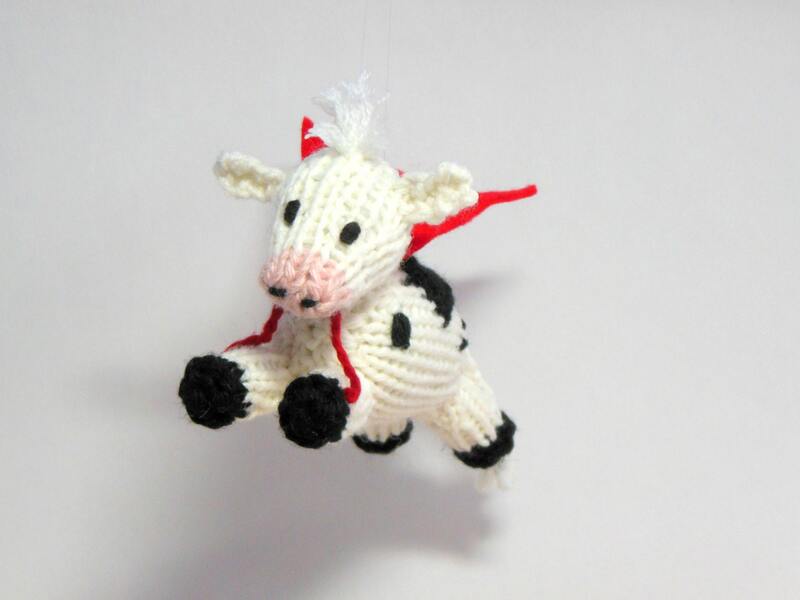 SuperCow's charm will surely distract squirmy little ones. 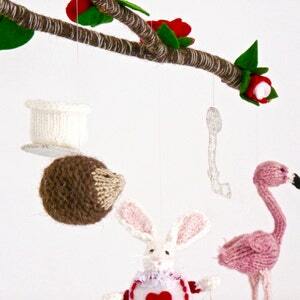 Please select if you would like it to be an ornament (small loop attached) or a mobile (36-inch+ long line of monofilament attached). 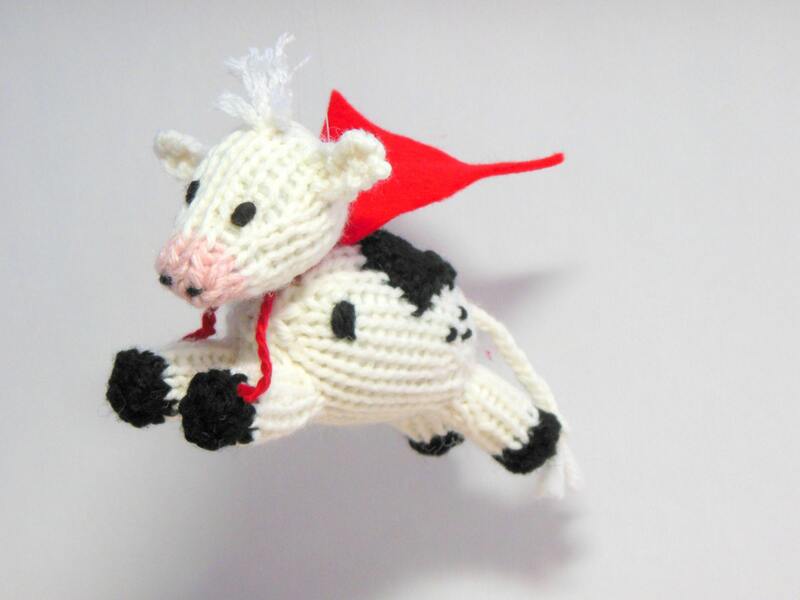 If you prefer a different color cow or cape, please contact me and we will discuss details. Barb is so sweet to work with! The 'super cows' I ordered looked even better than pictured!! 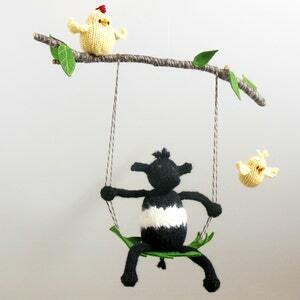 These were the perfect addition to my sons nursery. 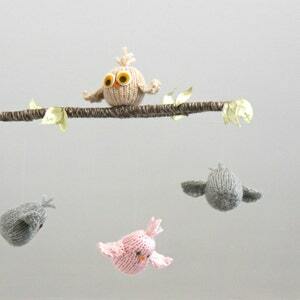 They were also made, and delivered a lot quicker than I could believe! !